Yamaha has launched its new CIS Series of audio products for the installed sound market at InfoComm 2012. The CIS (|Commercial Installed Sound) Series is designed to provide complete system solutions for applications in the absence of experienced audio operators who can manage the system, such as in restaurants, retail outlets, transport hubs, public buildings, convention centres and function rooms. The first Yamaha CIS products include matrix processors, multi-channel amplifiers, ceiling speakers and surface mount speakers, all of which feature Yamaha’s digital technology. “The new CIS range will increase the range of solutions which Yamaha can deliver for the installed sound market and we are already planning more products which will be added to the line-up in the future.” said Nick Cook, European marketing director at Yamaha Commercial Audio Systems Europe. Utilising Dante technology and Yamaha’s YDIF cascade bus, users will be able to share audio and connect with all Yamaha CIS products, as well as other professional audio products on a digital audio network. The YDIF cascade bus provides an intra-rack connection using Cat5 cable for a 16-channel bus, while Audinate’s Dante technology is designed to allow CIS systems to share audio with up to 40 subnets (using an Audinate Netspander). This is designed to allow Yamaha CIS systems to merge with other professional audio systems simply and efficiently. The CIS Series features two programmable DSP matrix processors. 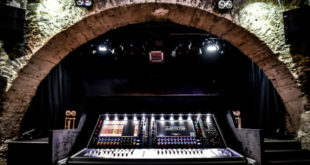 The MTX3 is an 8×8 analogue unit with YDIF cascade bus and SD Playback for a 26×8 matrix. The MTX5-D is an 8×8 analogue unit with YDIF cascade bus, 16 channels of built-in Dante, SD Playback and an MY card slot for a 36×16 matrix. Both units feature Parametric EQ, Dynamics, Feedback Suppression, Auto Gain Control and Priority Ducker. Outputs include Delay, Parametric EQ and Speaker Processing. Optional wall-mounted DCP1V4S-US and DCP1V4S-EU controllers are aimed at providing simple control of functions, including preset recall, levels and SD card playback, while iPhone or iPod touch users will be able to download the new Wireless DCP app. Also available are EXi8 input and EXi8 output expanders that can be controlled remotely from an MTX processor via YDIF, using standard Ethernet cable. Furthermore, the new range includes four multi-channel amplifiers – the XMV4280, XMV4140, XMV4280-D and XMV4140-D. Rated at 140W and 280W, the four channel amps are available in either YDIF or Dante versions. The channels can be used in bridged mode, are high impedance and selectable in pairs, and can be controlled remotely by Yamaha MTX software. The CIS Series also includes two new ranges of loudspeakers. The surface-mount VXS Series features two IP45-rated, full-range models (VXS5 and VXS8) for both indoor and outdoor applications, plus two subwoofers (VXS10S and the transformer-fitted VXS10ST). Equipped with a dedicated bracket for safe speaker installation, the VXS full-range models can be mounted temporarily, freeing your hands to adjust mounting angles, while the subwoofers also come with brackets for efficient. All will be available in black or white finish. Available in black or white, the VXC Series ceiling speakers will be available in four, six or eight inch models. Designed for easy installation, with patent pending anti-drop tabs for temporary installation / secondary safety and double threaded screws for faster installation, transformers and back can are included. The first products in the CIS Series are due to start shipping at the beginning of the autumn. To make sure that you don’t miss anything from InfoComm 2012, be sure to regularly click on our ‘InfoComm 2012’ Hot Topic tag at the top of the page. 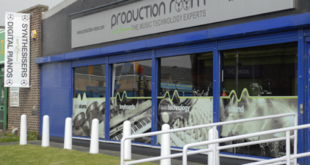 You can also receive up to the minute news by following us on Twitter on @AudioProInt and via Facebook on https://www.facebook.com/audioprointernational.